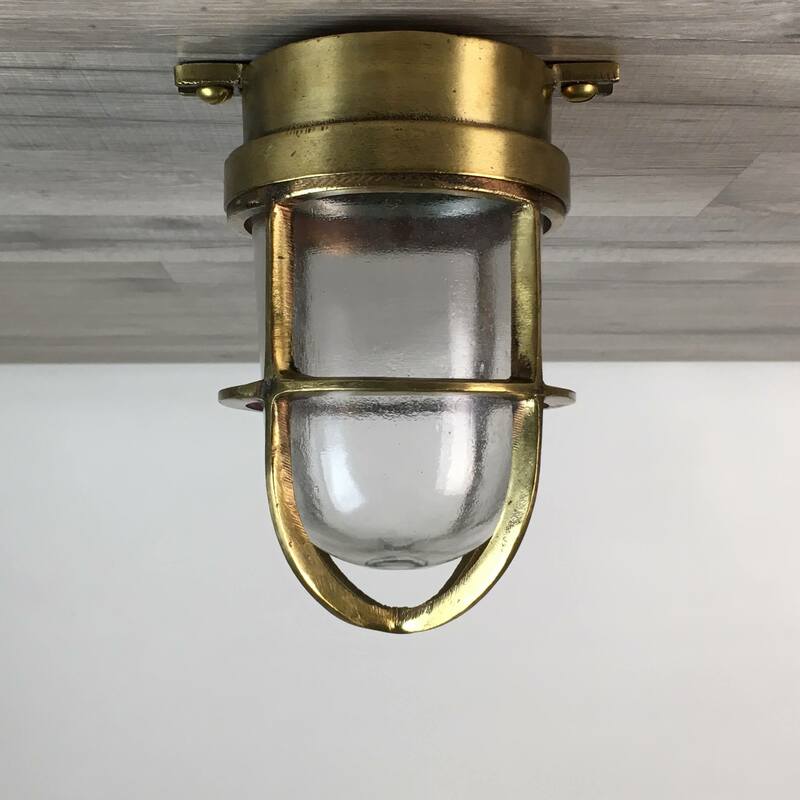 This ship salvaged cast brass wall mount light measures about 9 inches tall, not including the wall brackets. It will extend out from the wall by 8 1/2 inches when mounted. It has four mounting brackets on the back. The light weighs almost 15 1/2 pounds. The clear glass Fresnel lens has some edge chips here and there. We have plugged the original conduit hole with a copper cap, drilled a new hole on the back of the bottom housing, and fitted it with a short piece of copper pipe. You can bring this new pipe into the wall, or fit your junction box with a cover plate and then drill a 1/2 hole that will allow the new pipe to hide the wiring once installed. We have installed a new UL Listed bulb fixture and wiring. Rated for up to 250 volts. A normal 100 watt or less household or LED bulb will work for this light. 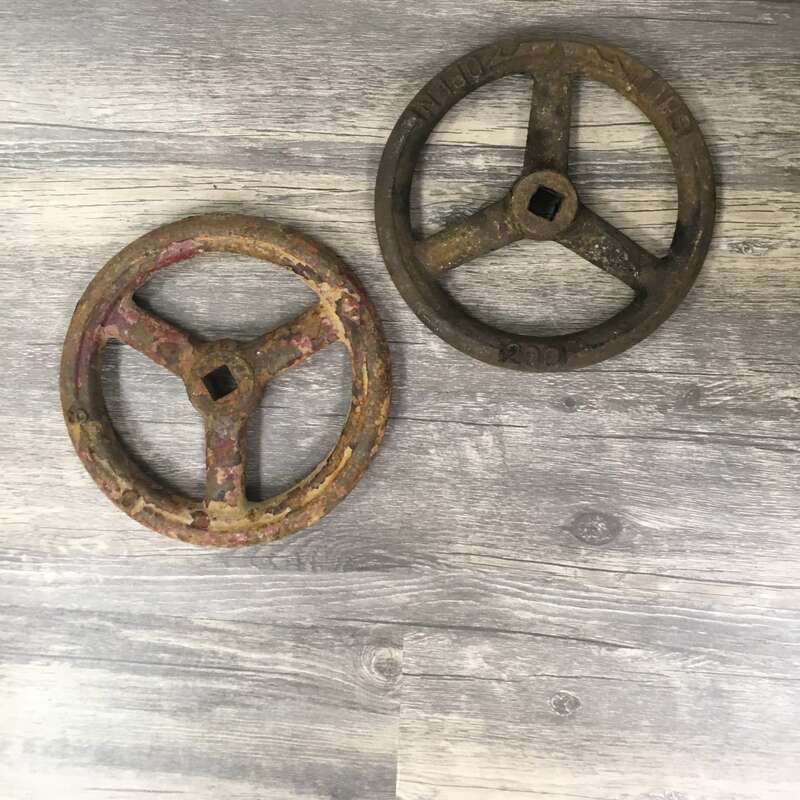 You will be shipped the ship salvaged cast brass wall mount light shown in the photos.